Last year more than 2,500 guests attended this lively midday celebration of international culture, travel, tourism and trade. This year, there will be many opportunities for 1:1 interviews with diplomats, embassy exhibitors, sponsors and attendees. 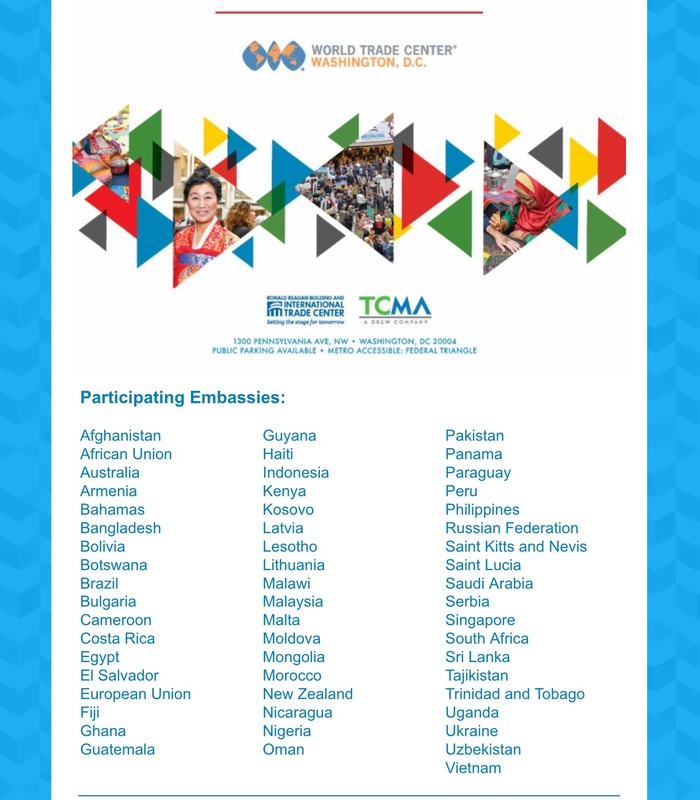 This festival has the atmosphere of bustling global marketplace with each embassy promoting their country through vibrant displays of visual art, food, handcrafts, as well as travel and tourism exhibits. 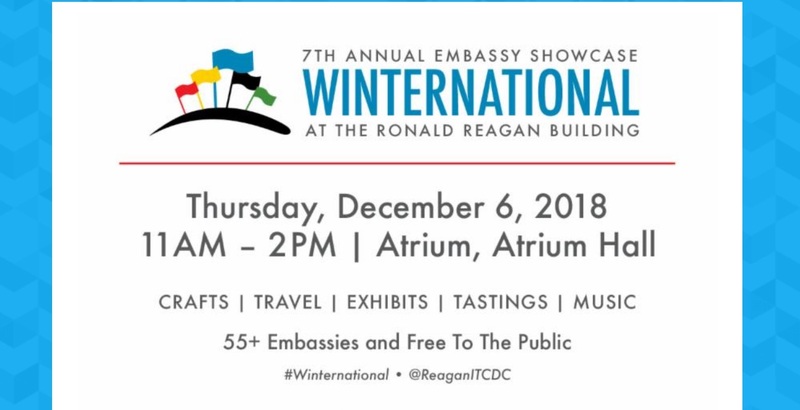 Free and open to the public, guests have the opportunity to travel the different continents and do some holiday shopping—all during the lunch hour!